In recent times we've been marvelling at Nintendo's entries into the McDonald's Happy Meal scene, even going so far as to unbox the recent Super Mario toys in the UK. They were fairly generic franchise toys, but it's all about to get real in the U.S. with the emergence of the Mario Kart 8 toys pictured above. As you can see we have Mario, Peach, Luigi — is that a death stare? — Donkey Kong, Bowser, Toad and Yoshi all rocking various vehicle customisations. There's a rather neat visor hat, too, while these toys will also work with the McPlay smart device app. Toys typically rotate on a fortnightly or monthly basis and these are down as the 'Next Happy Meal', so these may arrive in early July. We have little doubt that Nintendo of America will issue a press release once the release date is pinned down. Will you be stuffing your faces with McDonald's and collecting them all? Let us know. I wonder if the anti-gravity wheels move... Maybe there's little balls under them? Wowzers, cool! I want one! Please come to Australia!! I'm still not going to eat at mcdonalds. They look nice though, but I'll stick with the amiibo figures. As long as they're not fire hopping I'm ok with it! Will definitely be stopping my local McD's and buying these outright. They will just sell them to you without an actual food purchase, right? I know Burger King thankfully sold me the Simpsons Treehouse Of Horror figures they had a few years back without me actually having to eat that garbage. Whoah! I hope it comes here too! They should make them support Amiibo. (RFID is dirt cheap). those look really cheap. Even for McDonalds standards.. If they come to the UK, you guys need to do an unboxing video for them. 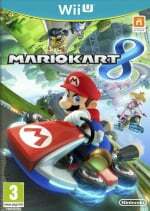 Looks like a summer push for MK8 for Nintendo. No food stuffing needed. Most locations in my area will let you buy the toys separately. The next generation of children will grow up thinking the wheels on our cars are all sideways. Time to get stares and odd looks from McDonalds employees when I order a Happy Meal. Based on personal experience, you should be able to buy the toys without buying the Happy Meal. I'm buying them all, I'm lovin' it. I hope these come to Canada, and I wish there was one for Wario. I really am diggin' the partnership Nintendo has with McDonald's. Wifi hot spots and Nintendo themed Happy Meals is a win win! @Stu13 yep you just ask for the toy. They are usually just a dollar a piece. First those My Little Pony figures and now this! Give me a break from the plastic stuff I can't resist! Man McDonalds toys and streetpasses, it's making me fat! But I want them all! As cool as the pokemon toys were, I'm sure both my sons would prefer these. Too bad their only in the UK. Guess I'm gonna be on a Premium Ranch Chicken diet next month. This almost makes me want to go full-on kid mode and head over to McDonald's several times to collect the whole set. ALMOST. @Technosphile Yep, I skimmed the article and then caught my mistake....but not in time. ADVERTISING! Who knew Nintendo knew how to do it, but they finally did something right in that department! Dang, this sounds awesome! Can anybody confirm if these toys are available in Canada? I'd love to get myself one. I certainly wouldn't mind grabbing some of these myself! No Waluigi... no Wario ...they might as well just spit on the mcnuggets. A happy meal every day for lunch it is. Hah, I might have to get some Happy Meals. That's awesome. I'll buy the toys. But you will never catch me eating any McDonalds food ever. EVAH! @AJ_Lethal That's from Breaking Bad, correct? Awesome! Hmmm, I'm feeling hungry anyways. Love me some happy meals, though I haven't had one in about 20 years lol. Cool, will be going to the McD's across the street every day to get these and Miis, because they have a relay there! I guess those Happy Meal bribes are actually given to you directly from the source, in order to advertise them in each of your articles, which is technically true if we go by your little bio at the end. @sinalefa The bio finally comes back to haunt me! OK, nobody else asked it, what's a McPlay app? @Rosalina I wonder if the normal wheels move. @Tasuki The employees won't care. Lots of adults order Happy Meals, some under the silly notion that the smaller portions make the meals healthier. Heck yeah! We been collecting the Pokemon toys/cards here. My son will love this. If the drastic increase in the frequency of my visits because of the recent Pokemon Happy Meals is any indicator... I'll definitely be eating a lot of chemically-treated fries in the near future. I recently nabbed a few of the Pokemon Happy Meal toys... hopefully these are better. I've lived pretty much next door to a McDonald's since 1997, first at my mom's and now at my place. They haven't seen the color of my money in, like, six years or so now. Needless to say, if these came to Brazil, that would change quite fast. How come Pokemon just got flat pictures standing on a plastic plate, and Mario Kart 8 gets full 3D figures?! I would have loved to have gotten a little Froakie figure. These are difinitely cool, but Luigi had better have a death stare! Canada gets the same toys as the US, don't we? If so, I'll be buying myself some Happy Meals to go for a boy (in hopes of avoiding Peach). Honestly, the meals aren't that greasy/salty/gross if you get the snack wrap, apple slices, and chocolate milk, and $4 is a good deal for what you get. Seriously though, please come to the UK. @Splatom I also want it to come to the UK and then release Splatoon toys some time in the future. Ugh. I'm surprised that Nintendo would associate itself with such an unethical hell-hole. @King47 - You don't have to eat the food, dewd. And they sell them separately if you just ask. @Tsurii897 - show me any McD's toys that look any less cheap than these toys. Fact is that they're all cheap toys. That's why they cost so little. But no one actually get's these cheap toys for their quality. They get them because of their perceived value as a collectable. Wonder if they are going to do this also in Canada? Finally, the first Mario McDonald's toys in 8 years! everyone says mcdonalds food is unhealthy and will make you overweight, however, when you look as stunning as i do you wont have that problem. Can 30somethings order happy meals? FYI, you can just go in the store and ask to buy the toys separately. You don't need to buy a meal or food of any kind. I do this any time I want the toys like I did with the Skylanders toys.